Andy Crestodina has been in the interactive marketing space on the internet for 18 years, during which time he’s helped thousands of people get better results online. He’s infused his marketing know-how into a book called “Content Chemistry,” which contains some of the most useful marketing information Andy has picked up over the years. Aside from the book, Andy spreads his knowledge through a national series of lectures and conferences. “As far as the fusion of content and SEO, in my eyes, they’re basically one in the same. It’s nearly impossible these days to rank your website without great content on it, and the reason for the content is a lot easier to get backlinks, to then say, a product or category page.” Bill said. To make you link building campaign much more effective and help you solve the problem of knowing where to start. To help you get started with your link building campaign, here are our suggestions for 5 specific tools. Remember when you were in school and your teacher was so exhausted that they gave you “busy work” to do? There wasn’t really that much point to the work, it didn’t yield any results. Despite our best efforts, we can become guilty of doing this kind of “busy work” when it comes to working on search engine optimization. 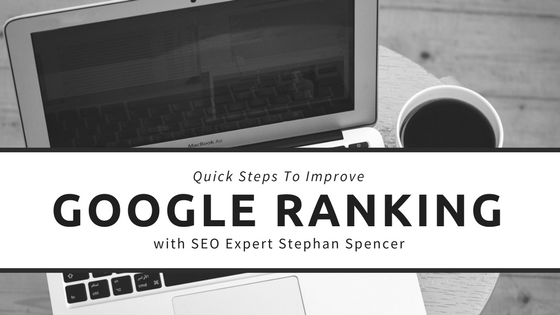 Thankfully, Stephan Spencer – marketing guru extraordinaire – chatted with me about how to do SEO work that is outcome focused. In other words, follow his advice and your time spent on your SEO endeavors will actually yield results, like improving your rankings. Your goal when working on SEO should never be to do busy work. In other words, you want to focus on work that gives you results, or a great outcome. Here are three easy ways to make that happen. Stephan made a really good point about writing content. He said: “What you create for humans should be good for SEO, what you create for SEO should be good for humans.” Makes sense, doesn’t it? And yet, a lot of us get too caught up in how many keywords we have in our piece and how many variations of that keyword we can add to it. Stephan’s advice: Don’t worry so much about the number of keywords you use – worry about where and how you use them. That means making sure your content is easy to read and full of helpful information. It also means that you need to let your readers know right away what your content is about. Another keyword tip that Stephan had was related to the title of your page and keywords. A lot of people are really concerned about the H1 title tag and using a focus keyword there. This could be useful, as long as you use your keyword thoughtfully throughout the rest of your blog. Let’s go back to the blue widget example. If you use the H1 tag for your title, add a keyword to it, but then don’t add that keyword anywhere else on the page, it doesn’t really look like the page is about the topic that you claimed in the title it would be. Instead, it looks like you did a little bit of SEO and thought, “Oh, I want to work in an extra keyword in there. I hope I rank for it. I’ll drop it into the title tag where it gets the most weight.” But if there’s no mention of that word – or even a synonym of that word – on the page, you’re not likely to rank very high for that keyword. So yes – the title is the most important place to put your main keyword, but you have to make sure you use that keyword again thoughtfully within the context of your page. On the Home page, you should link to your most important services, products, landing pages, and articles. But you want to place those links strategically on your page. People don’t have the patience to read everything you’ve written on the Home page. It’s not likely that they’ll end up scrolling down to the bottom to find out more about you and what you have to offer them. Many websites make the mistake of having a home page where the visitors have to scroll and scroll until they finally get to some content near the footer of the page. And then the content reads like this: “Welcome to our email marketing services company. We provide email marketing tools and email marketing consulting, and our email services are some of the best out there, and if you're looking to get email marketing best practices…” and it goes on. Then, all of the keywords are hyperlinked to services pages. This is not only uninteresting to read – people know that it’s been written with search engines in mind, not people. Your visitors aren’t the only ones who won’t be impressed. Search engines have algorithms that check for this type of hyperlinking and keyword stuffing, and they penalize websites that do those things. Your goal should be to make things as interesting and as easy as possible for your site visitors. Somewhere along the top of your page, have some sort of image that people can hover over with their mouse and click through to the services page. While it’s important to change the images alt attributes for SEO purposes, a text link is even more important when it comes to search engine rankings. It’s easy to get overwhelmed with the idea of improving your SEO efforts. It seems like every day there’s new information about how to get better rankings, how to make more money from your website, how to attract more clients and customers. All of that information can become really distracting, causing you to focus on busy work that you can cross off your To Do List but that leaves you with minimal results. Focus instead on what Stephan calls the “low-hanging” fruit – like the tips above – and you’ll start seeing results without feeling overwhelmed. 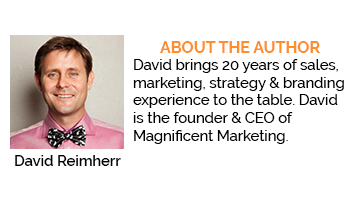 Are you ready for more helpful tips from an internationally renowned marketing guru? Then, make sure to follow Stephan on Twitter and read his information-packed blogs regularly. Stephan is also the creator of Traffic Control, a three-day seminar on SEO, co-creator of the three-day professional development seminar Passions into Profits along with co-founder Kris Jones, and the host of two podcast shows, The Optimized Geek and Marketing Speak. Stephan is on the board of Impact Network, a 501c3 nonprofit which builds and operates schools in Zambia. Recently, I had the privilege of chatting with marketing and outreach guru, Mark Samms. Mark and his Ninja Outreach team provide their customers with a truly awesome product – an all-in-one lead prospecting and outreach software. When Mark talked with me, we discussed something that has confused quite a few marketers: how to get great backlinks. How Much Should You Pay for SEO and How Do You Choose the Right Firm to Help You? Learn more about how much should you pay for SEO company and how do you choose the right SEO firm to help you to get better organic ranking in search engine. Learn more about How to SEO Audit Your Website and Stay Ahead of the Curve. Here you find Podcast Summary with Stephan Spencer, an internationally-recognized SEO expert. This is the second part of a two-part series on non-paid content promotion strategies. If you haven’t read the first part, I suggest you do so before moving on. When we last spoke, we were talking about the ability to leverage content communities, and I would like for you to talk a little bit about executing this strategy. Ethical advertising has become challenging these days, given that a lot of marketing strategies which tackles a global political issue can sometimes be misleading. As a result, misinformation spreads easily like wildfire all over the world. As a result, this makes customers of certain brands insanely frustrated by the problems that they pose. Current marketing issues are mostly centered on the misuse of marketing strategies in any given business, especially when the issues in marketing today are not properly recognized leading to a problem - solution mismatch. With this in mind, identifying marketing problems and solutions can be your best shot to salvage your company in an ethical manner. The most common of the current marketing issues, as mentioned earlier, centers around the misidentification of problems. It also is centered around the misuse of strategies employed to promote advertising. 1. Misidentification of problems - many companies do not grow simply because they employ bad strategies which are borderline not following proper legal ethics. 2. Solution Mismatch - a solution to a misidentified problem can mean that the company is wasting time, money, and effort on the wrong problems. Similarly, identifying the problem correctly but giving it a different solution can also affect your sales negatively. 3. Using Personal Opinion - opinion invalidates the objectivity of business. 4. Employing radical solutions - being innovative is a good practice, but if it's too abrupt, then it can be unstable. 5. Competing against giants - giant companies employ strategic marketing practices which are formulated by the experts in the field. You can drown in this ocean of giants. 1. Research. Read a research journal or conduct a feasibility study. 2. Take note of your progress in a journal. This can help you keep track of which strategies are working and which ones aren't. 3. Take advantage of the internet. The internet can be your cheap media for marketing in an ethical manner. With this in mind, the current issues in marketing can be solved through a head-on solution formulated by marketers against the target disruption. With the invention of the digital age, the internet can now be used to employ effective marketing strategies to help your brand become a monster in your industry. This is possible by increasing your visibility in the target market. 1. Social Media Ads - Social networks have enabled more people to interact with others from far distances. Take advantage of this and reach a wider target market. 2. Search Engine Optimization - SEO techniques which are ethical involve proper use of keywords and articles construction. - Patent Regulations - you may run out of good ideas given that someone holds a patent for certain media. - Limited Agency - there are only a few marketers available who are proven to be efficient at this type of job. 1. Determine the issues in marketing today. 2. Research. Read a business research journal or magazine (like Forbes) and take note of research findings, including their strategies employed. 3. Keep track of your progress. Write it in a personal or company journal. 4. Use different tools and explore which ones work and which ones do not work in marketing your brand. 5. Consult a marketing expert or agency. These are only some of the steps you can use to identify marketing problems and solutions against the issues in marketing today. With these in mind, keep yourself updated with current marketing issues and make sure that they are also solved with current solutions. A small startup, or even any established business, needs excellent marketing materials in order to build its brand. 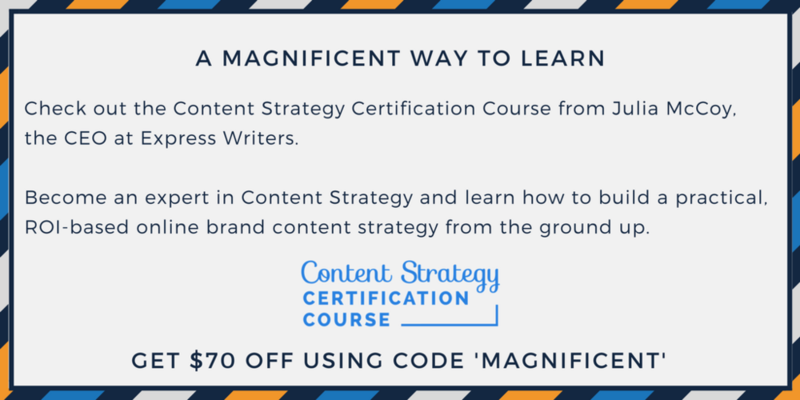 If it is in the commencement stage, to further grow, expand, and provide recognition to the business, a content marketing strategy is what you need to succeed. These companies opt to work with a content marketing agency to whom the owners entrust a huge chuck of their campaign and advertising. I talked with James Reynolds, CEO of Veravo a Search Engine Optimization Company, about how link building can strengthen your SEO, and also how to do it correctly. I recently visited with Internationally recognized SEO expert and best-selling author, Stephan Spencer. Spencer wrote Google Power Search, and co-authored Social eCommerce and The Art of SEO.